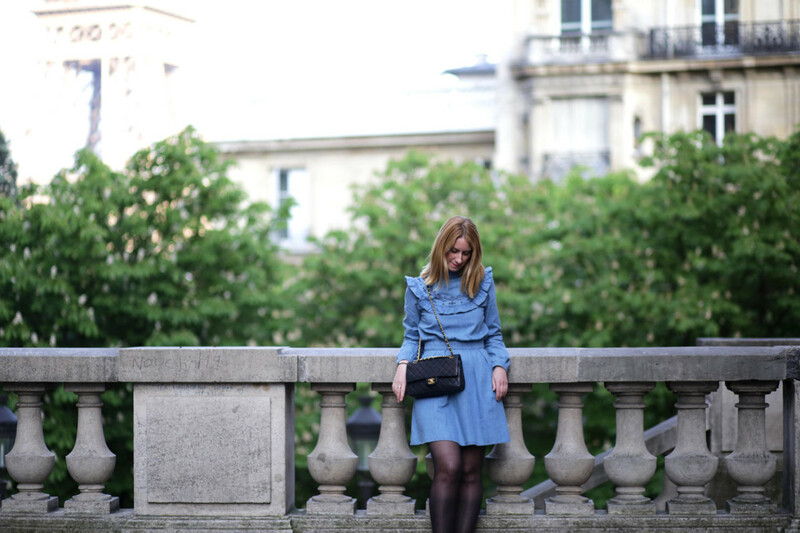 The Denim Dress – Blog Mode Tendance et Lifestyle| Paris Beaauuu! Hello girls, I hope you’re doing well? Let’s talk accessories now. 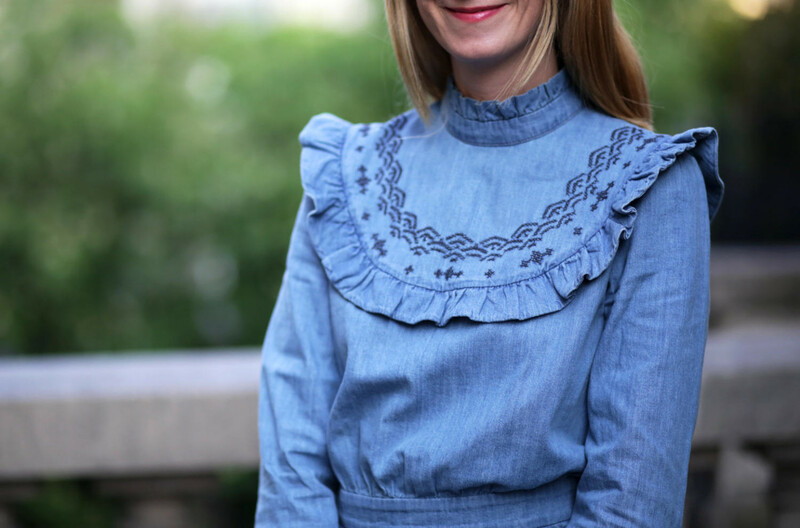 Regarding the shoes, we can (almost) wear all with a denim dress. We can go from flat (for a casual and practical look to run everywhere across the city) to heels (for a more dressed up look when having an interview or a dinner *) without problem. Last detail but not the least, the bag! If you follow me on Insta Story, you have already seen the wonder of handbag that I offered myself for my 36 anniversary. This is a classic black vintage Chanel bag. I dreamed of it for a very long time, I saved up and now, I own it, haha;) More than a bag, it is a “jewelry”piece, iconic and timeless. We feels immediately a more stronger woman when we carry such a piece under our arm. And if you are interested, I would write a post very soon with my good Parisian addresses, on where to find a vintage Chanel bag.